Used outdoors, balloons or blimps generate visibility and "top-of-mind" awareness for your business. A blimp or helium balloon swapped regularly creates interest! Changing your advertising intermittently keeps nearby traffic looking! 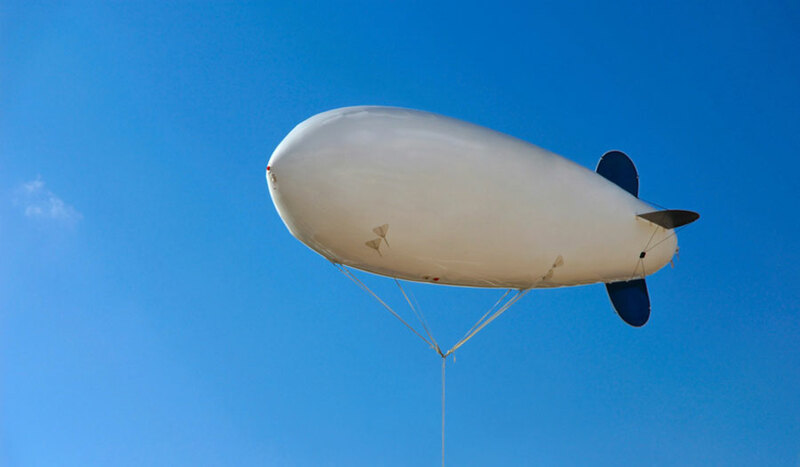 Helium advertising blimps can attract attention from miles - use them to create excitement and traffic for your sale or event. Helium Balloons and Blimps Communicate! Helium Balls and Blimps are reusable and work effectively to communicate information about sales and other promotions. Simple messages on a ball or blimp (for example: SALE!) communicate most effectively. What would work best for you? 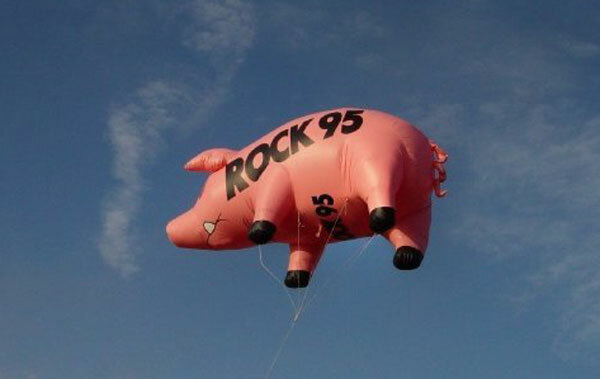 Spot Promotions' experience can help you decide the best balloon or blimp for your needs. We'll give you a quick and easy "how to" to install and properly maintain your new helium product, or we'll be happy to install it for you. Spot Promotions offers a free, no-obligation site analysis that will assist in determining the best promotion for your organization. Balls or Blimps are Indoor or Outdoor Advertising! Indoor use during trade shows to float above your booth. A blimp or ball above your booth can be seen across the show floor and calls out for people to come visit. Outdoors above your building as a floating billboard. Manufactured from polyvinylchloride (PVC) fabric, a UV inhibitor in the material protects it from fading. Artwork is printed on the balloon with a specially made urethane-based process that is flexible and becomes part of the balloon. Call us at 303-320-4400 or email us for details. Spot Promotions sells and rents advertising balloons and balls - no passengers allowed! If you'd like to watch a football game from a blimp, click here for Goodyear.